With the release of two massive Small Faces box sets, two Humble Pie bootleg boxes, an expanded reissue of Humble Pie’s ‘Watch Your Step’ and a four disc set of the final performances of Steve Marriott’s Packet of Three all issued within just over a year, the stretch between April 2017 and the summer of 2018 was a wondrous time to be a Marriott fan. 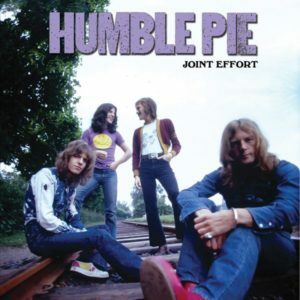 …And then, at the beginning of 2019, Cleopatra Records offered fans something extra from the archives – a long overdue vinyl release of ‘Joint Effort’, Humble Pie’s “lost” album from 1974. The origins of ‘Joint Effort’ were already somewhat troubled. In the lead up to recording, Marriott had briefly quit Humble Pie hoping to join The Rolling Stones (the vacant guitarist’s role was filled by Faces man Ron Wood) and guitarist Clem Clempson had moonlighted with Greenslade [appearing on their ‘Spyglass Guest’ album, his contributions are fantastic]. To be fair, at that point, the future of the band looked uncertain. However, the reconvening of Clempson and Marriott in 1974 led to various recording sessions which, while perhaps not as coherent as ‘Street Rats’ (the album that eventually hit the shelves the following year), make an interesting album in their own right. Created with the idea of encouraging people back into independent record shops by issuing limited vinyl items by smaller cult bands, it wasn’t long before Record Store Day got utterly hijacked by major labels keen to milk a giant cash cow. Worse still, RSD stocks have actually been sold by dealers at inflated prices on ebay the day before the event. It’s hard not to see it as a giant sham. The Melvins have never done things by halves. They’re known for unexpected collaborations, albums that are almost audio art projects as much as conventional releases and highly prolific output. Drummer Dale Crover’s next project is so insane, it makes the Melvins 8-track cartridge where no two copies were identical seem like a bankable affair. Introducing the twelve sided vinyl! Full details and instructional video below. Las Vegas based quartet Trevor and The Joneses care not for fashion. 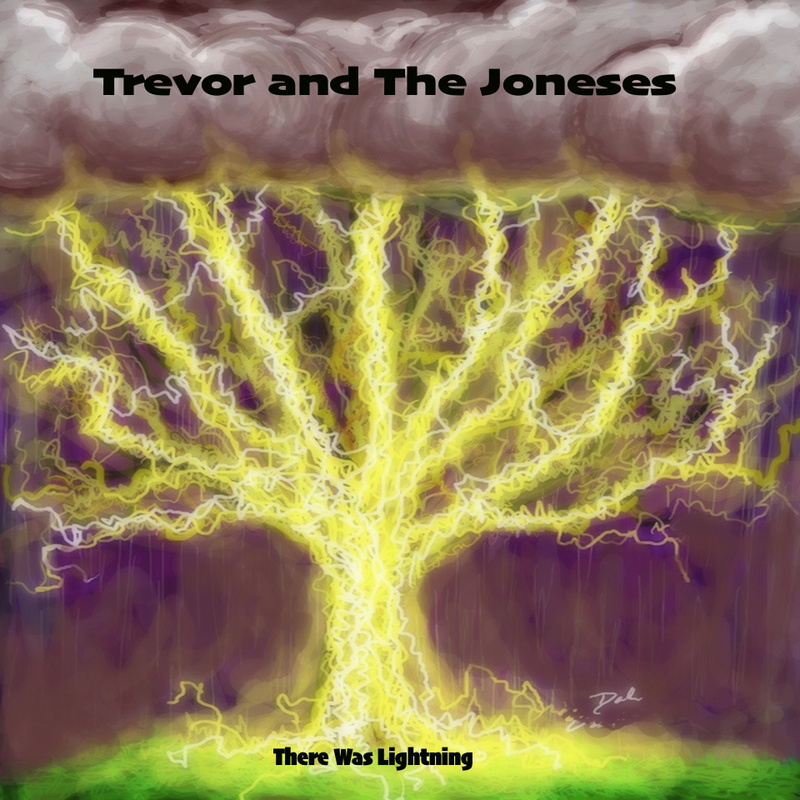 Parts of ‘There Was Lightning’ – their debut LP from 2012 – could have been recorded at the same time as The Stooges’ ‘Fun House’, while also showcasing material that’s clearly channelling a lo-fi equivalent of Neil Young’s ‘Zuma’ with occasional nods to the underground of the late 80s. In theory, this sounds like a disjointed mess…and true enough, it doesn’t sound so special the first time you hear it. After allowing the tunes time to mature and to properly sink in, however, you’ll discover an album celebrates retro rock styles in a huge fashion. …And although the material is varied – drawing influence as it does from over three decades of rock – the band have developed a surprisingly confident style. In 2014, the original run of six Blondie albums was re-released as an expensive box set. There’s good news for those who just couldn’t afford that £80+ price tag. The six releases are to be made available separately in May. The albums from ‘Blondie’ (1976) to overlooked swansong ‘The Hunter’ (1982) will be re-released by vinyl specialists Back To Black in the UK on May 4th.